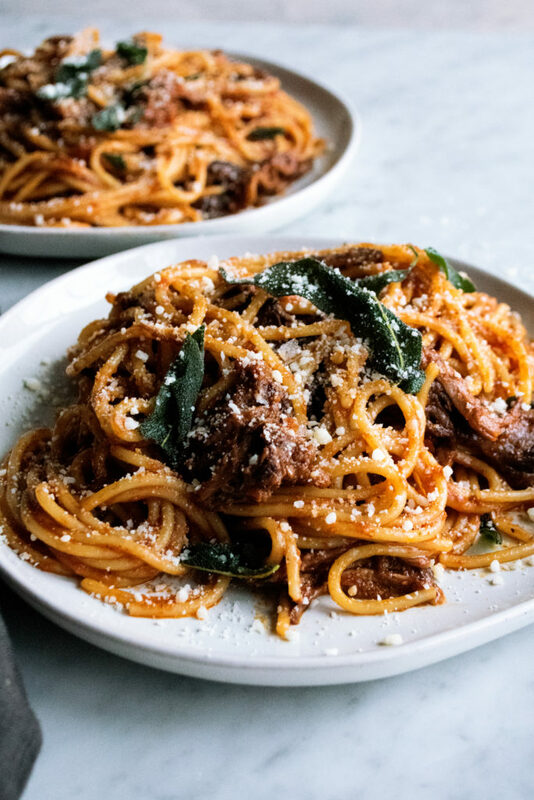 This red wine braised short rib spaghetti is basically the only recipe you need to stay warm and cozy all winter long. 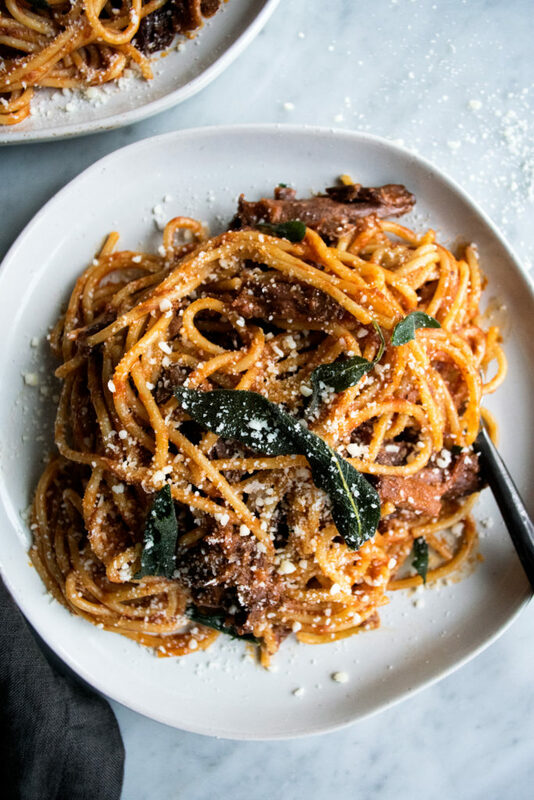 If you like hearty, satisfying pasta dishes, this is for you. 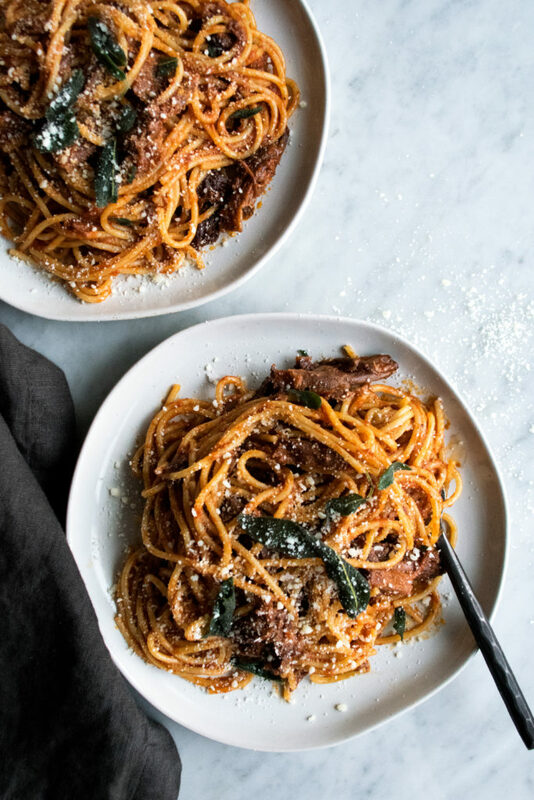 I cannot tell you how good this braised short rib spaghetti is. I made it last night for our Sunday dinner and will happily be enjoying leftovers tonight! Let’s just say, it was the perfect way to end a long holiday weekend, and now is the perfect way to stay cozy as we start the week. With the winter season officially in full swing (we had our first big snowfall today!! ), I couldn’t think of anything better than a big bowl of pasta for dinner. If you’re a braised short rib fanatic like me, you will love this dish. 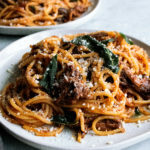 I basically turned classic braised short ribs into a rich, tomato meat sauce, full of red wine and herbs, and finished with a few swirls of butter. It’s creamy, extremely hearty, and full of melt-in-your-mouth pieces of slowly cooked meat. Technically speaking… you’ll sear the meat, transfer it to a plate, saute aromatics, add red wine + canned tomatoes + stock, add the meat back in, simmer for a few hours, remove and shred the meat, strain and reduce the sauce, add the meat back in, and then toss the whole thing with spaghetti. It takes a bit of time and love, but it’s a really simple process. 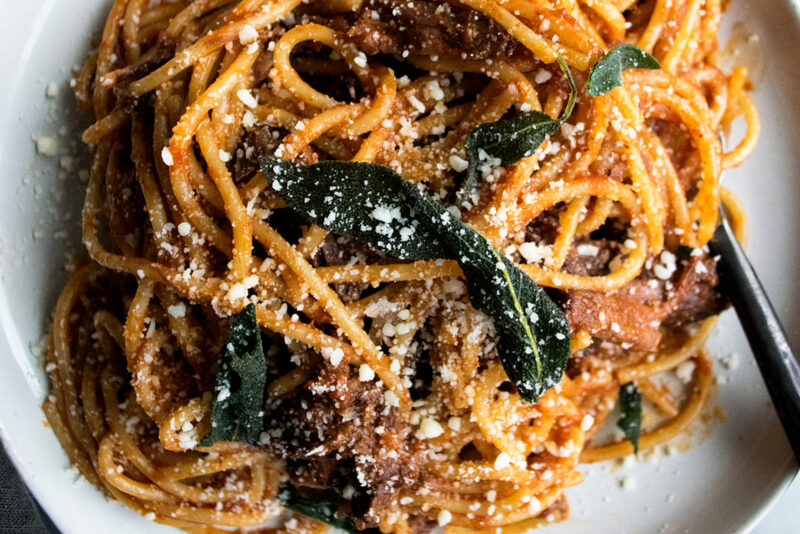 Oh… and you must top the spaghetti with lots of parmesan cheese & more herbs, for good measure. Enjoy! oh my!! This LOOKS and SOUNDS delicious!!! Thank you so much!! 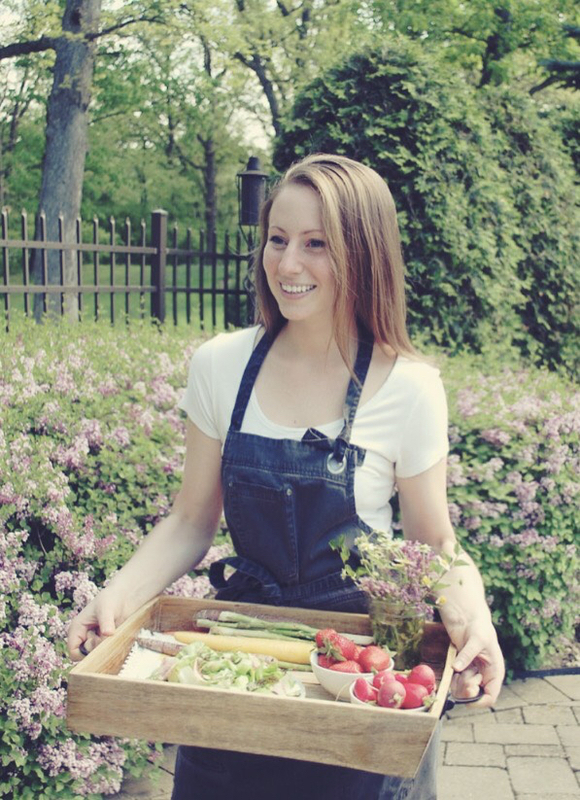 I hope you get to try it this winter…it’s a really good one! This looks delicious and I plan to make for Friday night! Can I sub cassava or almond flour in order to make gluten free? Hey there! Sorry I’m just seeing your comment now and you might have already made this, but yes! I absolutely think a cassava or almond flour would work. The flour is just used to thicken the sauce slightly and there’s not too much of it to make a huge impact. Let me know if you tried it! Think you could Crock Pot it at step 7? I haven’t tried this, but yes I think you absolutely could! If you’re cutting the recipe in half about how long do you braise for? Braise time is still about the same because you’ll need that time to break down and tenderize the tough meat. But, start with 2 1/2 hours and test it (you’ll want the meat to fall off the bone and shred easily with a fork) and then go from there. Hope this helps!